I backed Broken Age. You backed Broken Age. 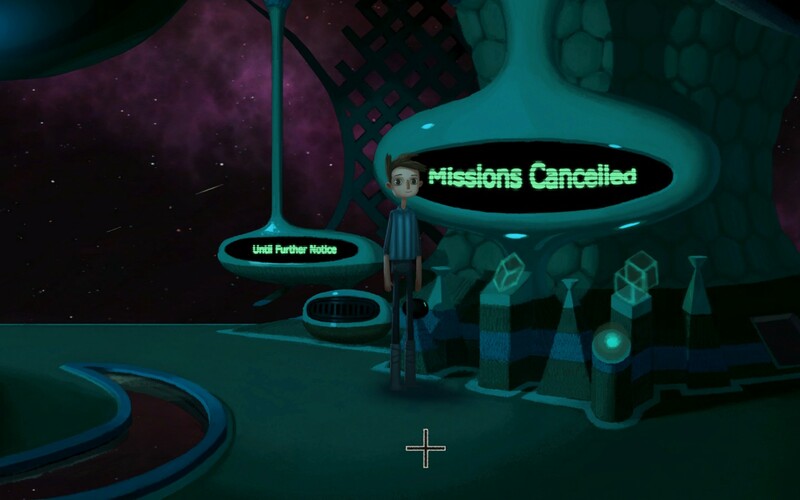 We all backed Broken Age, before it even had a name. It was a historic moment – the ushering in of a new era of crowd-funded game development. For better or worse, gamers are more able than ever to see how the sausage is made, and Broken Age‘s phenomenally successful Kickstarter campaign was a huge catalyst for that. By virtue of the circumstances of its birth, Broken Age‘s place in the history books is all but assured, and rightly so. Is the game actually any good though? 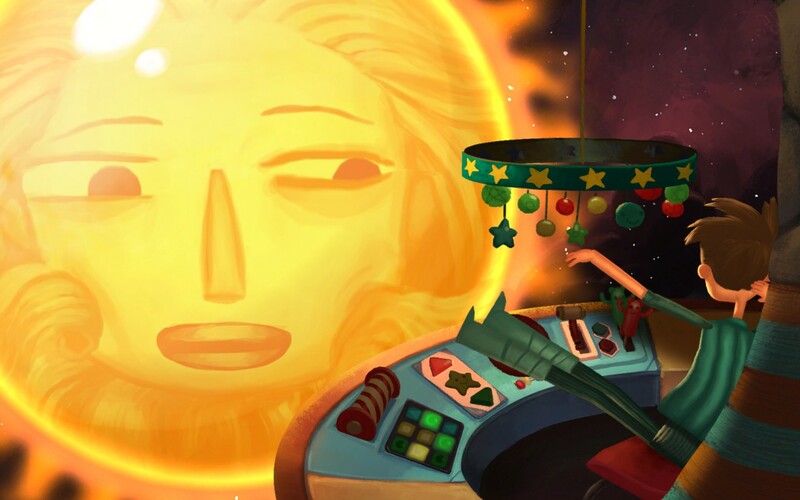 Broken Age’s Kickstarter was revolutionary, but Broken Age isn’t. For better and for worse, it’s essentially the same game Double Fine have been making since they started. It’s creative, it’s beautiful, it’s charming; it’s shallow, it’s unfocused, it’s tedious. They’re an incredibly passionate and original studio, and their games always reflect that – but at the same time, they never seem to be able to wrestle their big, interesting ideas into a functional structure. Unfortunately, Broken Age is no exception. For those somehow unaware, Broken Age is an adventure game, in the style of classic point-and-clicks. It’s to be released in two acts – this is the first, with the second coming at some yet-to-be-determined date in 2014. It consists of two separate but intertwined stories, with the player able to jump between them at will. One sees you playing as Shay, a boy held captive and seemingly alone on a spaceship. He is cared for, lovingly, by the ship’s cheerful central computer, and though he is in his teens, he is still treated like a young child. The computer tries to entertain him with patronisingly simple ‘adventures’, but he yearns to break free. In the other you play Vella, a girl chosen by her village to be a ‘maiden’ – to be offered up as tribute to a huge, Lovecraftian monster, and in doing so protect her people from its wrath. Her family is overjoyed at the honour, but Vella rails against it, determined to fight the beast rather than submit to it. Both of these stories start strong, with interesting and original premises, but never really develop any depth or subtlety – you’ll have guessed from my descriptions alone that it’s a game about growing up, and basically the metaphor stays as stark and obvious as that throughout. It’s written with great humour and charm, but it feels like it was written for children, rather than the nostalgic adults that funded it. For a game that leans so heavily on its narrative, it’s a shame that it is so lacking in substance. It must be said, however, that the art-style compliments this story-book feel perfectly. The game has a lush, hand-painted aesthetic, beautifully detailed backdrops and cute, expressive character designs that seem a sly tribute to the cast of Psychonauts. It works extremely well, showcasing every ounce of Double Fine’s artistic creativity, and serves to create a world that you immediately want to engage with and explore. The voice acting too goes a long way to bringing the setting to life; a cast of true industry veterans provide a range of wonderful performances, and really help to make Broken Age‘s outlandish characters feel real and relatable. It is a shame, then, that the world is actually so small and empty. Once you’re let off the leash, and allowed to poke at your surroundings, it quickly becomes clear quite how little there is to really explore. Areas are big, but often severely lacking in content – grand, beautiful scenes that you can barely interact with. I found myself quickly frustrated with the extent to which the inviting visuals clash with the minimalistic game design. 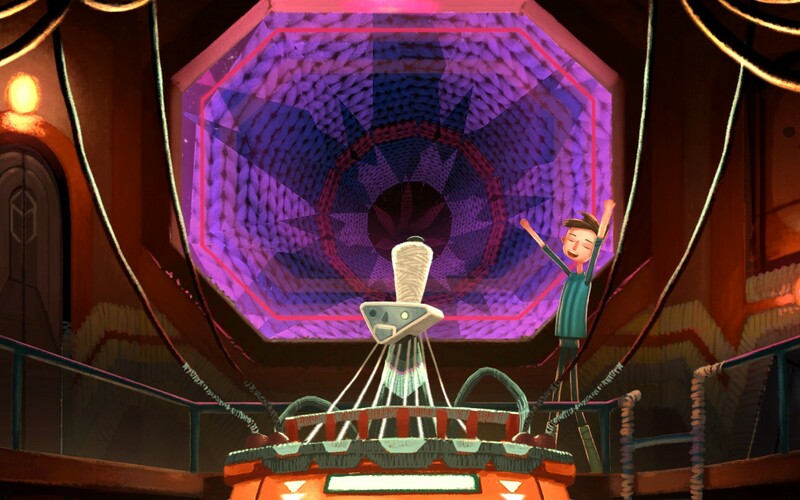 This is Broken Age‘s real problem – the gameplay is just not there. Puzzles are simple to the point that there is no satisfaction in completing them. Indeed, due to the large areas of ‘dead space’ between interactive objects, solutions often involve intolerable amounts of back-tracking. Others require simple trial-and-error – character-focused puzzles especially seem far too regularly to come down to just clicking every possible dialogue option until the person decides to give you an item. It’s all very tedious, and over-simple – the puzzles feel like chores to be completed to move the story forward, rather than something enjoyable unto themselves. I quickly grew thoroughly sick of them. It’s clear that at least some of the problem stems from concessions made to touch-screen devices. 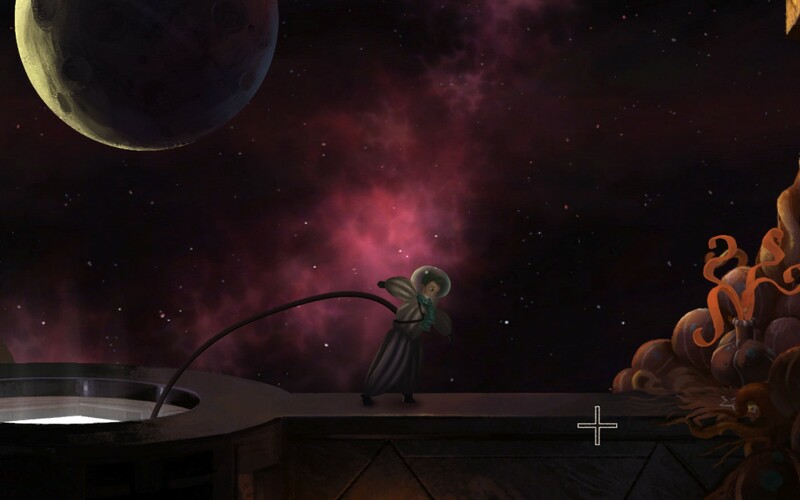 In addition to PC, Broken Age will be coming to iOS and Android, and it shows. It feels like a lot of complexity was removed to account for a one-button interface, and actions like opening your inventory and using objects, clearly designed for swipes and presses, are clunky and awkward with mouse and keyboard control. Normally, I try to speak only to the reality of what a game is, and not judge a game on what I expected it to be. 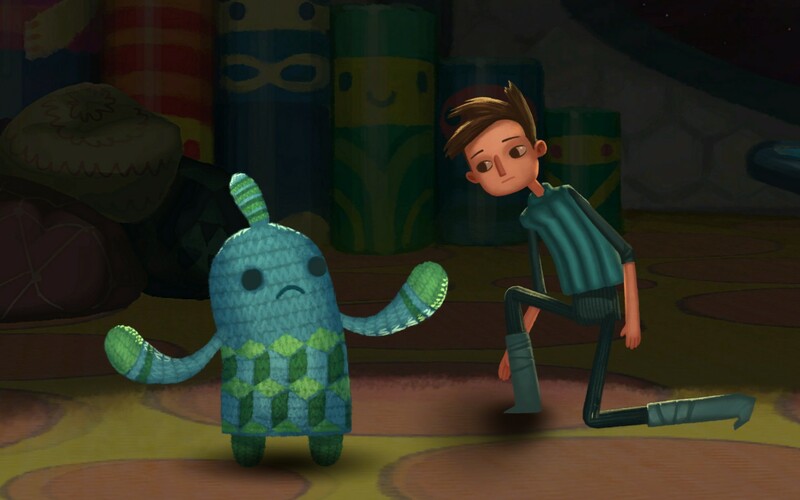 With Broken Age, however, I feel it’s impossible not to address the expectations involved. When Tim Schaffer launched that original Kickstarter, he pitched it as a return to the classic point-and-click adventure games of old. He pronounced the genre dead, and himself the one to revive it – he called on fans of those games to give him the funds he needed to do so. What he has delivered is, bizarrely, nothing like those games. Broken Age abandons the sharp, rapid-fire comedy of games like Day of the Tentacle and The Secret of Monkey Island, in exchange for gentle humour and an attempt at profundity. It avoids their complexity and twisted logic in favour of patronising simplicity – presumably as a reaction against how frustrating those games could be, though it simply swaps that for the duller frustration of busywork. It doesn’t feel in any way like a return to or an emulation of those glory days – despite that, originally, being the whole point. 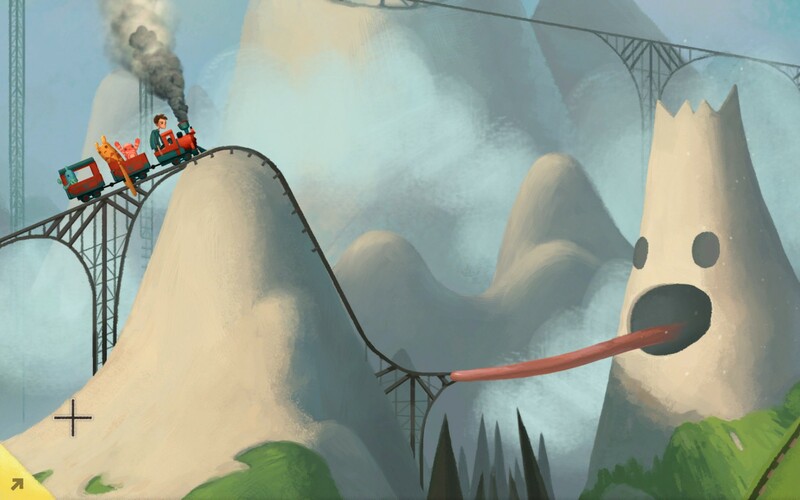 It feels much closer, in fact, to Double Fine’s earlier work Stacking – another charming and original, but highly simplistic adventure game – which leads me to question why they needed special funding for Broken Age at all. Luckily, Tim was actually totally misguided in his belief that adventure games needed his hand to revive them – the revival was, in fact, already long underway by the time he launched his Kickstarter, and the genre has gone from strength to strength since. Games like The Walking Dead and Gone Home have innovated, and taken the genre in entirely new directions, while games like Gemini Rue, Sam & Max and Jolly Rover have stuck wonderfully close to the ideals and style of the classics. 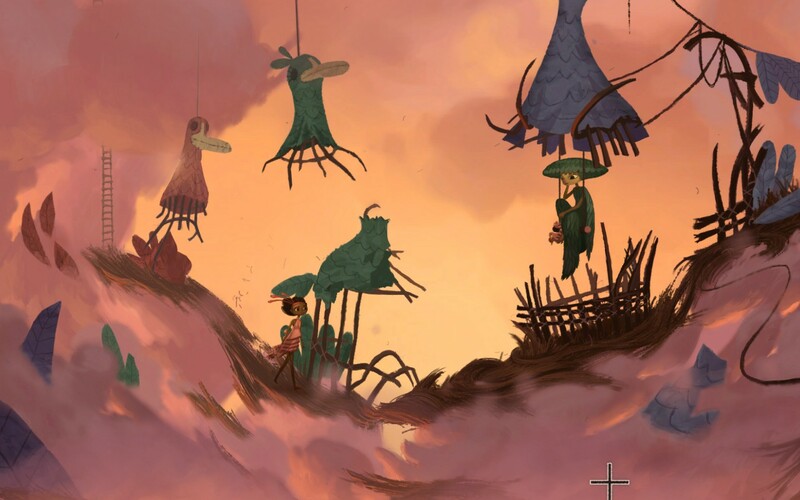 Broken Age seems hubristic in retrospect – and that it both abandons the past and fails to make any steps towards the future is damning to the point, I feel, of a breach of the trust of its supporters. Viewed through the lens of the expectations it necessarily created and played upon, Broken Age is a huge disappointment. Taken on its own, divorced of context, it’s…fine. Charming, lovely to look at, and not much beyond – a trifling thing, pleasant enough to spend an evening with, but tedious enough that you won’t crave for more. This is, of course, only the first act, and it’s entirely possible that the second will turn my opinion round completely. As it stands, however, I think I’ve already had my fill.